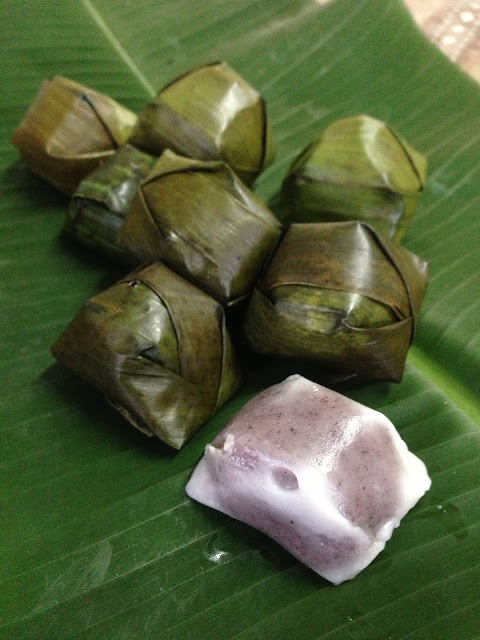 Kuih Koci, (pronounced Kway Kochi) is a Nyonya dessert of steamed glutinous rice flour filled with delicious brown sugar and grated coconut all wrapped up in banana leaf parcels. Nyonya cooking is very popular in Malaysia and developed as a result of the intermarriage between Chinese immigrants and native Malay over several centuries. 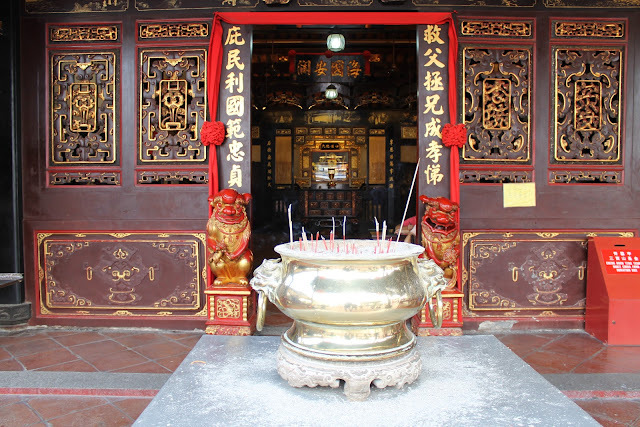 Melaka and Penang are the main centres of Nyonya population, culture and cuisine to the present day. For a touch of Far Eastern Exotica which is guanteed to amuse your guests we suggest serving these delicious little treats for afternoon tea. Cook the brown sugar with a little water until melted add in the Pandan leaf and leave to simmer for a minute on medium heat. Place the grated coconut and half the salt in and stir until the mixture dries out (approx 5 minutes). Meanwhile make a dough by mixing the glutinous flour with the remainder of the salt and coconut milk and a little water if necessary. Knead till a soft dough is formed. Divide the dough into ping pong ball size and flatten. Place a tsp of the sugar filling and surround with the dough making sure the filling is sealed inside. Cut the banana leaves into rectangles of approximately 6 cm x 12 cm and gently warm over heat to render them pliable. Coat the non shiny side of the leaves with a little vegetable oil and place the dough ball in the middle and fold into small parcels as shown in the photograph. Place in a steamer for about 15 to 20 minutes. Allow to cool and serve.